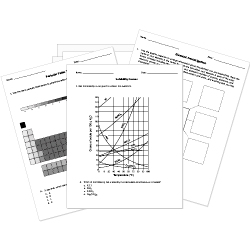 You can create printable tests and worksheets from these College Chemistry questions! Select one or more questions using the checkboxes above each question. Then click the add selected questions to a test button before moving to another page. Given the phase diagram, which of the following indicates the point at which solid and liquid exist at the same vapor pressure? Which combination of n, l, and [math]m_l[/math] values could represent the orbital shown? Which of the following combinations of n, l, and [math]m_l[/math] could lead to the orbital shown? What units are used to measure density? 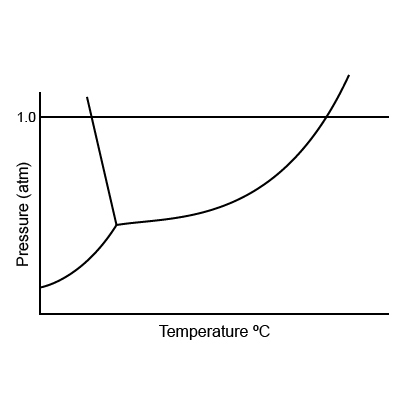 Which of the following does NOT exist on one of the lines or curves shown in the phase diagram?